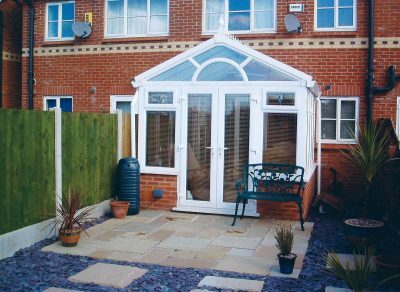 At Faroncrown Manchester, we understand that choosing the right conservatory for your home is an important decision, which is why the Faroncrown range offers a wide variety of finishes and styles designed to complement any home, including our Gable End conservatory style. You’ll not only enhance the appearance of your property, and add an extra room onto your house but you will also allow the light to flow through your home. Are you looking to bring even more light and style to your home? Then the Gable End conservatory is an ideal choice. 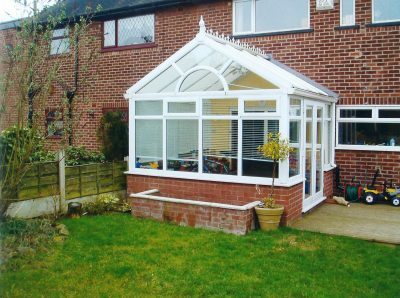 With a Gable End conservatory, the front of the roof does not slope back to the centre like other styles of conservatories. Instead, the front of the conservatory stays upright, like the end of a house. Gable End conservatories are square or rectangular in shape. With the roof allowing more light to flood into the room the illusion of more space is evident. 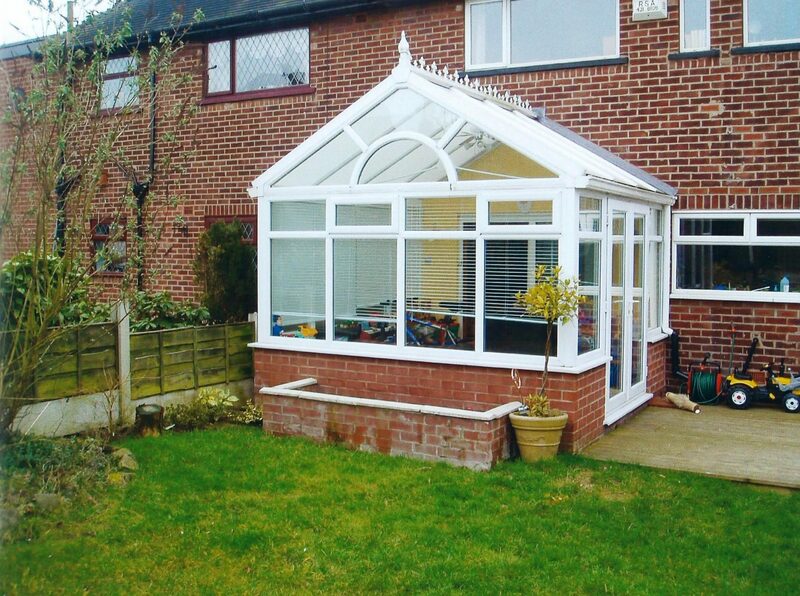 The stylish impact of the Gable End roof adds impact from both inside and outside the conservatory. 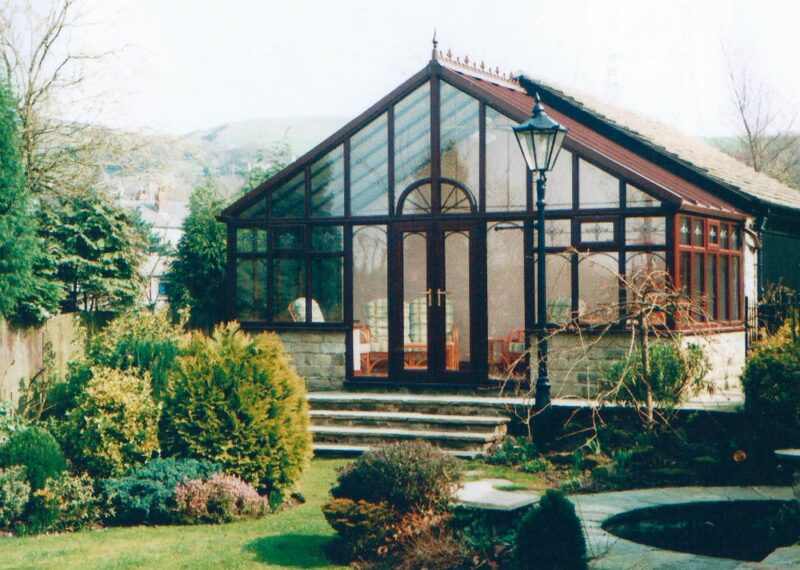 Our Gable End conservatories are always designed and built to meet exacting needs and requirements. We’re here to offer exactly what it is you want and need.